Chongqing in China is known for its unique urban planning. The bustling city that is built along the steep banks of Yangtze river has revolutionised urban planning with its mind-boggling interchanges, roads on building roofs, 13-floor-high pedestrian skywalks and the most popular of it all, the train that passes through a building. On Friday, the Transit No. 2 line came to a halt because of an unusual hiccup. 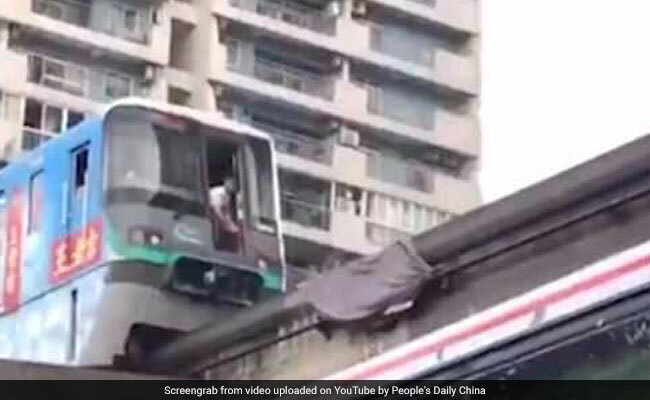 The 'magical' train line that goes through the 19th-story residential building had to stop after a blanket from an apartment fell on the tracks causing an hour-long delay. The driver had to resort to removing the blanket himself using a stick so that the train could move. The comforter was reportedly from one of the apartment balconies where it was left out to dry. The train has been in operation since 2014 in the crowded city of Chongqing carrying passengers through Yuzhong District, Jiulongbo District and Daidukou District.